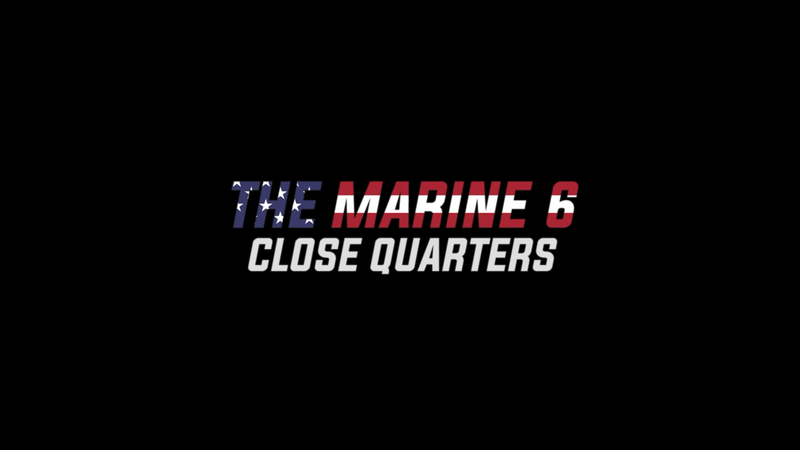 The Marine 6: Close Quarters actually wasn’t a terrible movie and might be a step above the previous entries if only for a couple moments that were actually surprising and unpredictable. Sony Pictures Home Entertainment provided me with a free copy of the Blu-ray I reviewed in this Blog Post. Recently the sixth Mission: Impossible was released onto home video. Now there’s another vaunted franchise… The Marine? 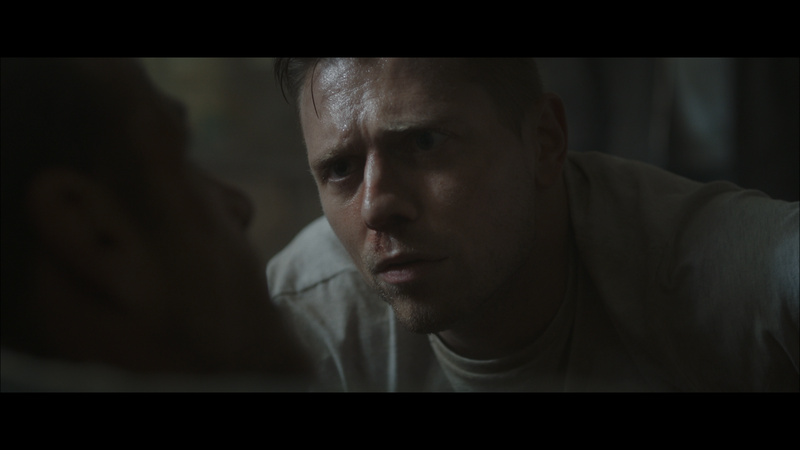 Started back in 2006 as an action vehicle for John Cena, the series has stretched on for 12 years and we get Mike “The Miz” Mizanin in The Marine 6: Close Quarters. While the previous installments with “The Miz” weren’t anything special, and not sure this latest is terribly memorable, there were at least a surprise or two plus the fight sequences were well choreographed. 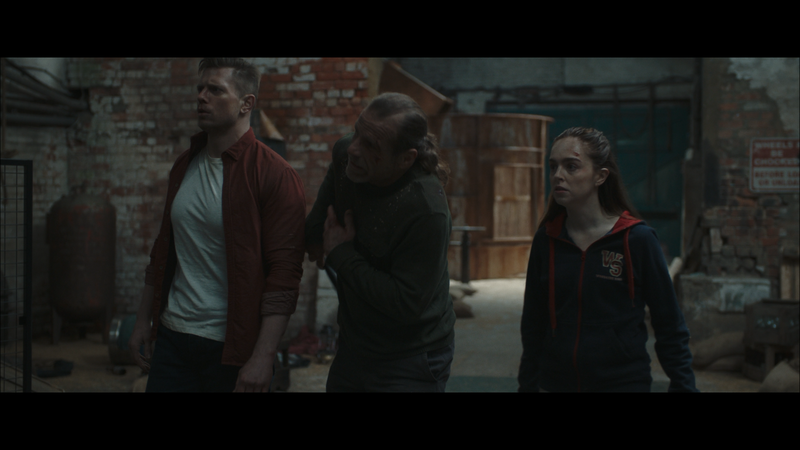 This entry, The Marine 6: Close Quarters, finds Jake Carter (MIKE “THE MIZ” MIZANIN) helping out his former commander Luke Trapper (SHAWN MICHAELS) to convince a Vietnam vet, Tommy Walker (TIMOTHY WOODWARD), squatting in an abandoned building to accept Trapper’s offer of an apartment. But Walker strongly refuses the offer. As Carter and Trapper begin to leave, they hear some chatter on the upper levels and upon investigating, discover a woman named Maddy Hayes (BECKY LYNCH) and a few of her goons holding teenage girl Sarah (LOUISA CONNOLLY-BURNHAM). Sara was kidnapped earlier to force her father, serving on a jury, to push for a mistrial of Maddy’s crime lord father, in the face of overwhelming evidence. Mind you, this part is actually stupid as a mistrial, especially one where a jury would likely be 11-1, maybe 10-2, would have the prosecutor re-file charges. But I digress. Carter and Trapper manage to beat up the goons and rescue Sarah. Unfortunately, they are trapped inside the building and soon enough Maddy sends in a frickin’ squadron of goons, mostly hapless of course, to take the place over and hold the trio at bay with the jury currently in deliberations. What follows is actually not a half-bad section of the movie with characters hold up in, well, close quarters, fighting off a plethora of baddies with some half-decent fight scenes with a splash of your usual clichés (most notably the foot slamming down on the floor just as, usually, the hero rolls away). 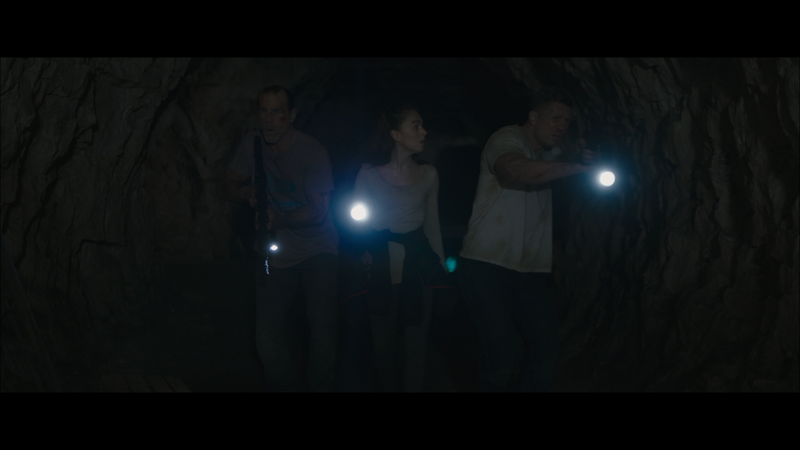 Before long, though the characters to manage to make it out but being in a desolate location, forces them into caves. As I mentioned, The Marine franchise isn’t exactly top-shelf action. Even the first one, starring John Cena wasn’t very good, and that movie had an okay budget (reportedly $20 million) whereas these sequels were in the $5 million range. In any case, I wasn’t all that fond of the sequels and although Close Quarters certainly had a weak, thin screenplay to go along with at best average performances, the movie at least did contain a couple surprises. With regards to the performances specifically, you’re not going to get anything in depth from The Miz, who seems to have maybe two looks (one of concern, the other apathy), Shawn Michaels was alright I suppose while Becky Lynch, also a WWE superstar like The Miz and Michaels, was serviceable as the villain and did seem like she was having a delicious time playing such a psychopathic character. Now, as someone who has never watched any WWE, nor have the desire to, I haven’t a clue who either Michaels or Lynch were (know of The Miz due to this franchise and voice roles for two Scooby-Doo animated movies). This comes with a redemption code for the Digital HD copy. Features are on the lighter side with Making Maddy & The Marines (5:06) and The Breakdown: Epic Fights (4:33) featurettes. Sony releases The Marine 6 onto Blu-ray presented with a 2.39 widescreen aspect ratio and given a 1080p high-definition transfer. This is not a half-bad looking picture, detail is decent though not always well defined while colors are generally bright outside of the building and dark levels are stark but not appearing overly crushed. 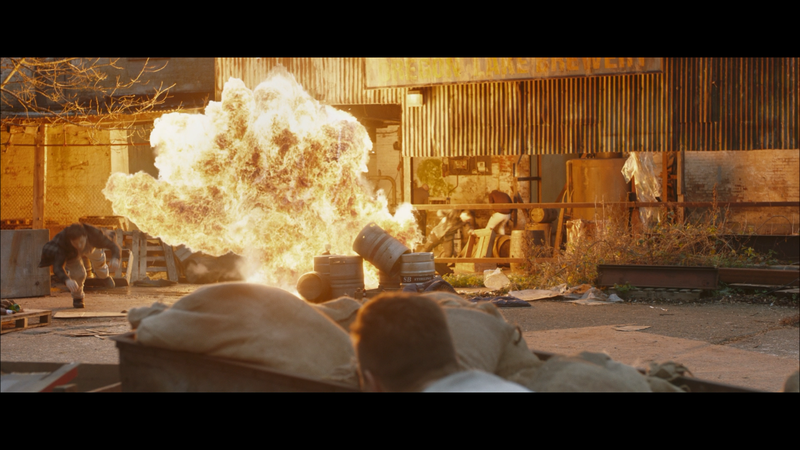 The included DTS-HD Master Audio 5.1 track sounds quite strong with good depth during the action sequences with gunfire being exchanged and one big explosion which was a mix of what looked like a mixture of practical and so-so visual effects. Dialogue levels sound crisp and clear throughout even amidst the action. Overall, The Marine 6: Close Quarters actually wasn’t a terrible movie and might be a step above the previous entries if only for a couple moments that were actually surprising and unpredictable. That said, The Miz still isn’t some masterful actor (Dwayne Johnson has nothing to fear) but is fine in a role like this. The Blu-ray meanwhile has good video/audio transfers but thin bonus features.